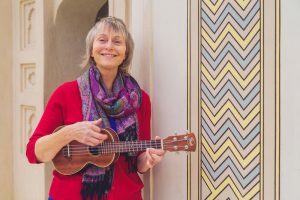 I knew I was going to be a ukulele teacher at the age of six. 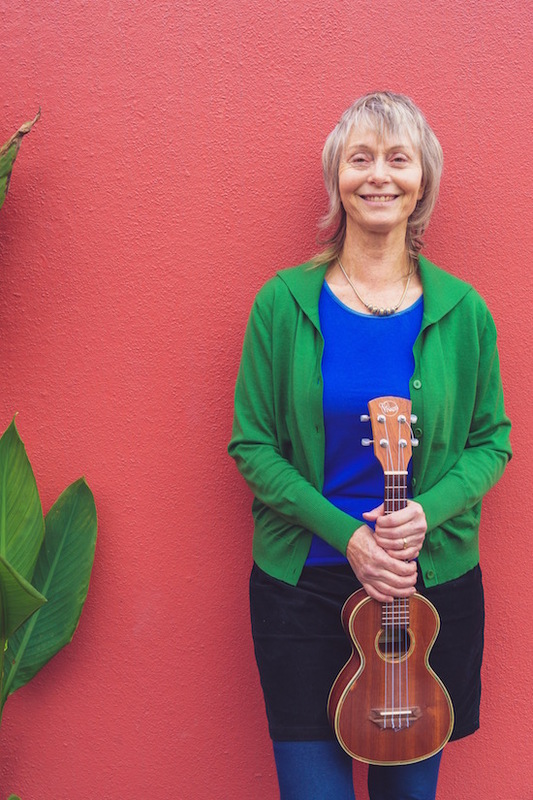 My mother, Sue, taught me three chords and three songs, and I was hooked. I was having such wonderful fun strumming. I played and sang and then played some more. I wanted to share my joy. I tried to get my brothers to join me in a ukulele band. Soon after that, our mother gave up making music. I think she just had too many other things going on in her life. There were no more ukulele lessons. Instead I was sent to violin lessons with a grumpy, scary teacher called Mrs Paulsen. 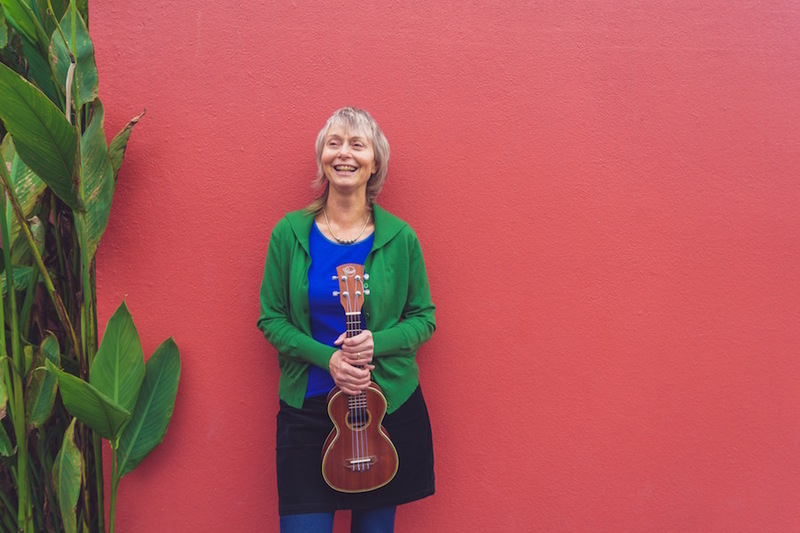 And it took me nearly half a century to find my way back to the ukulele. I spent fifteen years in the classical music education system, learning violin, viola and piano, going all the way to university. I loved the amazing feeling of playing Beethoven in an orchestra, but I knew that I wasn’t cut out to be a professional orchestra musician. After university I played fiddle in folk bands and alternative rock bands for many years. I also played keyboards, drums and bass guitar. 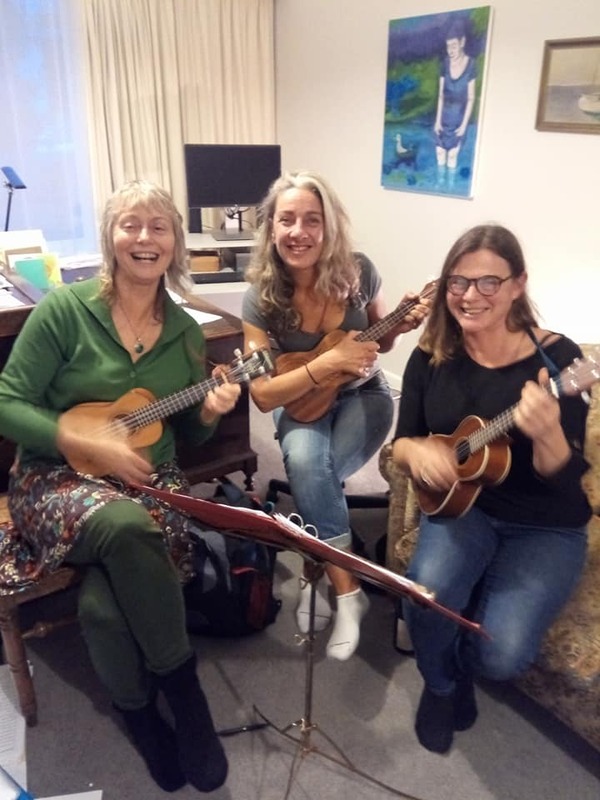 So that Friday evening we sat down with three ukuleles, three chords and a bottle of wine. By the time the bottle was empty we could play “Happy Birthday” and a couple of other songs. The next Friday we did the same thing. None of us had practiced, so we had to learn the chords again. But gradually we started to remember. Me, Paula and Jane at a Strumbles practice. The painting behind us is by Anna Fairley, who’s also in the Strumbles. And then more friends started joining us, until we had nine people meeting regularly on Saturday afternoons. Some of the players are experienced musicians, and others started from scratch. The group’s current name is The Strumbles. It’s the highlight of my week. The Strumbles playing at a local festival. Within a few weeks my long-dormant ukulele skills were reactivating. I could remember the songs that my mother taught me, all those years ago! And my classical music theory and rock band experience started coming in handy to work out ukulele parts. I wanted to get some more skills so I could help my friends. So I signed up for a ukulele night class at a local high school. It was a beginner’s class, but I was there to pick the brains of the teacher. She was a charismatic young woman who was a great musician and singer, and she’d been teaching the class for a few years. That first term I had six students. The next term I had twelve. The following term I had two classes of twelve each! And the next term after that I had fifty students, spanning seven decades. I found that I was enjoying teaching. People were coming back to my classes, term after term. People have suggested I write a book. Maybe I will one day. But I think books aren’t a very effective way to teach music making. There’s no substitute for personal contact. Videos are very useful, though. I started my Youtube channel last year to provide resources for my students. The beginners are making much faster progress since they’ve had practice videos. Here’s a link to my Alice Bulmer Music Youtube channel. I knew I’d “arrived” when the new guitar teacher in the night classes asked me for my tips on teaching! 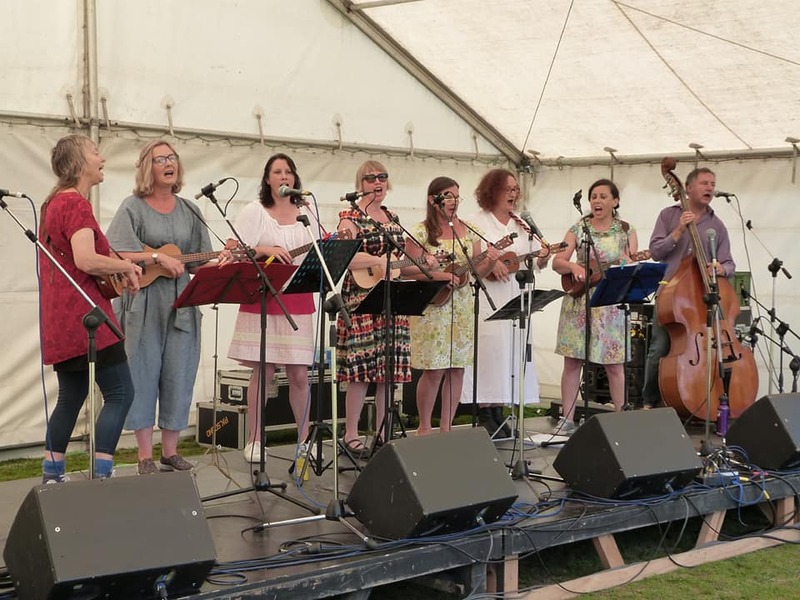 Ukulele teaching brings together all the skills I’ve collected from my wide musical experience. And because I love playing the ukulele so much, I love sharing my passion with others.